Grand Theft Auto V will be making its way to the next generation consoles later this year with PC version further delayed until 2015. According to Rockstar Games, the developer of the game, said that Grand Theft Auto V for PS4 and Xbox One will launch on November 18. It means that PC gamers will have to wait even further in order to get their hands on the latest GTA game. Even though Rockstar announced that PC gamers will be able to get the new version of GTA V by January 27th 2015, it’s still not clear why there has been delay in the release for PC. Before this announcement, Rockstar indicated that all three versions including PS4, Xbox One and PC will come together and will include updates to the original title of the game that was released for Xbox 360 and PS3. There will be more than 100 new songs, major visual and technical upgrades related to the GTA V gameplay in the latest version. Grand Theft Auto V made over $800 million worldwide in less than 24 hours of its release. With over 29 million copies sold worldwide in six weeks, GTA V became the first gaming franchise to reach a staggering figure of $1 million in revenue. While the next generation console owners and PC gamers are expressing their anger over the delay, Rockstar is planning to offer something extra to the users this time. Anyone who pre orders the game will be $1 million in-game cash, regardless of any platform for which they pre order. 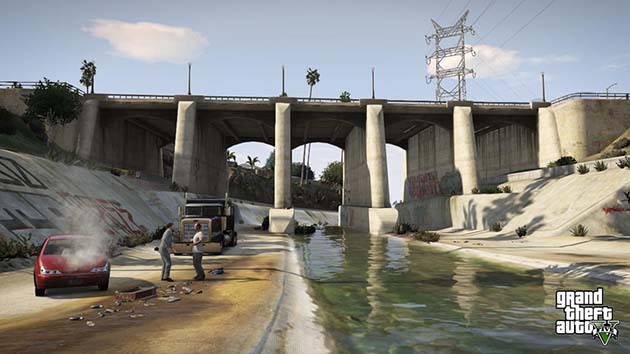 Current users who are playing GTA V on their PS3 or Xbox 360 will be able to transfer their game progress to PS4, Xbox One or PC versions when they will be launched.